The Jesselton Philharmonic Orchestra (JPO) is comprised of primary, secondary and tertiary students as well as working adults and professional musicians throughout Sabah. Membership is open to any musicians from the general community who have reached a minimum standard of Grade 5 to play in JPO. As for those below the standard of Grade 5, they could join the JPO Training Orchestra which prepare them to join the main orchestra eventually. To create a significant musical contribution to the cultural life of the community, providing its members and audience with opportunities for musical growth through creative direction, excellence in performance and educational outreach. To be recognized locally, nationally and internationally as a premier all-volunteer full orchestra fostering music appreciation and the life-changing value it provides our members and listening audience. To bring to awareness the intrinsic value of music and its development. To promote and enrich the musical education of people in this region. To raise the standard of music in this part of the world. To offer performance opportunities to musicians especially students from primary & secondary schools and universities. To introduce series of constructive, creative and healthy orchestral activities. To organise trainings and practices for members for them to possess a sense of pride, trust, harmony, understanding and cooperation through orchestral activities. To outreach other community channels and work together to raise the community musical standard to the pinnacle. The Jesselton Philharmonic Orchestra (JPO) was co-founded in April, 2007 by Yap Ling and Chou Yang Ching. The driving force of forming this orchestra is to provide a conducive environment of ensemble playing for instrumentalists. The formation of this orchestra also gives a chance for both teachers and students a chance to interact and play together in unity through music. It also provides an opportunity to those former band members from schools to continue playing after leaving schools. Thanks to Kian Kok Secondary School for their willingness to offer the complimentary use of their music room to JPO so that it can carry out its weekly practices on Sunday afternoon since 1st April 2007. Currently, there are about 60 multiracial members comprising players for strings, winds, brass, percussion; and sometimes, keyboard. Some of the JPO members are also members of the Malaysian Philharmonic Youth Orchestra (MPYO) under the supervision of the MPO members and conductors. Within JPO full orchestra, we also have JPO String Orchestra and JPO Concert Band. In addition, chamber groups are formed to promote chamber music in JPO e.g. piano trio, string quartet, string quintet etc. They have recently won the 1st & 2nd prices from the 2007 Malaysian Youth Music Festival’s Chamber Music competition organized by the Malaysian Youth Orchestra Foundation (MYOF) in KL on 1 September. JPO is in the process of registering as a society by a Pro Tem Committee. Organize more concerts for the orchestra and musicians from abroad. Organize more workshops and masterclasses. “Outreach” Program to schools and colleges, hospitals and welfare organizations like orphanage, old folks homes, handicapped centre etc. JPO Concert Tour to other towns, other states and abroad. Doing recordings and video shootings. This is a collaboration between the Jesselton Philharmonic Orchestra (JPO) and the Japan String Teachers Association (JASTA). It is a fund raising concert for the JPO Outreach String Program. The Gift of Peace is a violin and viola concert initiated and performed by the Founder and Conductor of JPO and the President of JASTA. It is the start of goodwill musical exchange between the 2 organizations where JASTA have kindly undertook to assist JPO on its Outreach String Program by providing support in donating instruments and teaching expertise. In doing so, more underpriviledged communities will have a chance to learn the string instruments with more efficient method of learning. We hope the concert will appeal to all to attend. On the one hand they could enjoy the good music and on the other, supporting this noble cause. For purchasing the tickets, you can bank in to Maybank account no. 110198001524 under Yap Ling. Then send the bank in slip via whatsapp to +6016-820 0355 with your name. You can then collect the tickets at the door before the concert under your name. We look forward to seeing you at the concert with your family and friends. We would appreciate if you could forward this messages to your circle of friends and help us to promote. 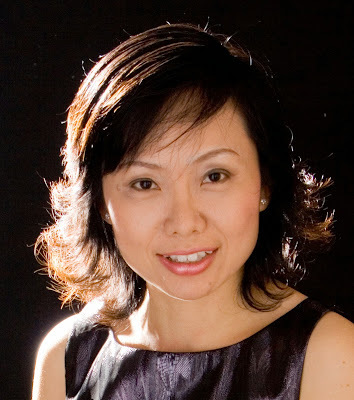 YAP LING is a versatile musician who performs, teaches, conducts and arranges music. His professional training from Royal Academy of Music, London (RAM), has taken him to many countries including USA, Australia, New Zealand, Dubai, Russia, Asian and European countries. In 1997 he was conferred an Associate of the Royal Academy of Music (ARAM) by his alma mater in recognition for his contribution towards developing the music standard and promoting music in this part of the world. In 1990, he participated in the 1st World Youth Music Camp in KL and the 1st Pacific Music Festival in Japan (under the baton of Maestro Leonard Bernstein). He represented Malaysia as a violin tutor in the 1991 ASEAN Youth Music Workshop in Jakarta, Indonesia. He was a string tutor at Universiti Malaysia Sarawak (UNIMAS) and Universiti Malaysia Sabah (UMS) where he conducted their orchestras. He was the Artistic Director and Principal Conductor for the 1st and the 2nd Sarawak Music Camp in Kuching and Sibu respectively for 1999 and 2001, the 1st Sabah State Music Camp at University Malaysia Sabah (UMS) in 2009. Yap Ling is the conductor and founder of Jesselton Philharmonic Orchestra (JPO), Kian Kok Youth Orchestra (KKYO), the Tshung Tsin String Orchestra, The Kota Marudu Skycommunity String Orchestra and the Kota Kinabalu String Music Festival for the past 5 years, which includes the Outreach Teaching Program he started that enables teaching of strings instruments to the orphanages and hostels in Kota Marudu Skycom, Tuaran Jireh Home, Papar Care For the Future Malaysia, Tawau Vision Schools, Yangon Ywama Baptish Church Orchestra and the Bangi PLPP Orkestra & Koir (for the physically handicapped). To date, more than 100 students are receiving free tutelage under his leadership. He has conducted Violin Masterclasses and Violin Teacher Seminars for ABRSM in Malaysia and regularly gives violin masterclasses and orchestra workshops throughout the country. Last year, he was invited by Nanyang Academy of Fine Arts, Singapore to give a talk and to conduct string masterclasses. Presently he is the assistant conductor and violin tutor for the Permata Seni Muzik (PSM), a national program for musically gifted children below the age of 14. As a Guest Conductor, he conducts the Miri Orchestra and Choir (MOC), The Musica Sinfonietta, Penang and The orchestra of the Music For Our Young Foundation, Hong Kong. He also co-founded the annual Bintulu Music Camp in 2015 where he is the artistic director and conductor. He conducted the Gala Friendship Concert (Malaysia & Korea) in Kota Kinabalu in 2015, collaboration between the Korean Opera Company Association and the JPO. As a chamber musician, he plays viola in his Duos group. Yap Ling is also the violinist for the Three-in-1, MP3rio (Piano Trio), the Jesselton Trio (Oboe-Violin-Piano), Re:mix (Singaporean String Ensemble), the Malaysian Ars Nova Ensemble (String Quintet with Piano), the L’espressivo Trio (Vocal-Violin-Piano), the Fuegokoori Trio (Violin-Cello-Guitar) and the CrossStringsDuo (Violin & Guitar) which has performed regularly in various parts of Malaysia and abroad. Besides giving regular recitals with his wife Grace Lee, Yap Ling has also appeared as soloist with the Monash Sinfonia in Monash University, Melbourne, Australia, the Penang Symphony Orchestra and the National Symphony Orchestra (Malaysia). Apart from classical music, he was invited to perform with Jackfruit (Jazz Band) at the 10th Nanjing International Jazz & World Music Festival, China in 2011. Yap Ling is also very active in sacred music performances in past 30 years where he has lead the festival orchestras for works like Elijah, Messiah, The Creation, Masses and Cantatas and has collaborated with David Chin, Elaine Pao and Rev. Lee Chong Ming. The most recent being the Bach Cantata Performances in Bintulu and Sibu on 1st week of July and the Kian Kok Youth Orchestra Annual Concert on 21 July in KK. SHIGERU TACHIKI studied in Berlin Karajan Academy, Germany under Prof. Giusto Cappone and with Prof. Bruno Pasquier at Ecole Normale de Musique de Paris (France). He was the violist in The Berlin Opera House and various European orchestras. While in Brazil, he served as a viola professor at the Brasilia National University for seven years. Shigeru was also the principal violist in Brasilia National Theater Symphony Orchestra and Paraiba State Symphony Orchestra. He has served as Director of Musical Academy in Mexico City. Since 1991 he has served as a Deputy Principal of the Kurouma Yuriko Conservatory in Mexico City, and at the same time as a member of the Kurouma Yuriko String Trio which gave performances throughout the world. Shigeru is an active violist who performs a lot not only in orchestras and chamber groups but also in recital and as a soloist. He is now frequent the countries of Japan, Germany, France and South America giving concerts. Presently he is the President of the Japan String Teachers Association (JASTA). The viola he plays is made by Shotaro Nishimura in Cremona in 2014. GRACE LEE SUI LIN obtained her Bachelor of Music Degree from Auckland University, where she studied piano under Professor Tamas Vesmas, and conducting with Uwe Groud and Karen Grill. Whole there, she conducted the Auckland Chinese Choir and served as pianist for several choirs. She is a member of the L’espressivo Trio (Vocal-Violin-Piano) and the Jesselton Trio. She has also accompanied several prominent choirs and musicians, including the Singaporean violinst, Foo Say Ming, and soprano, Phoon Sook Peng. As an accompanist, she has played alongside the Malaysian 3 tenors (comprising David Ngim, Lim Choeng Hock and Armando Chin Yong), the ‘Duos’ Ensemble, and represented Sabah for the National Art Song Singing Competition. She has also appeared as soloist, in 2005 playing the Mozart Double Piano Concerto and in 2008, J.S. Bach’s concerto for two pianos in C minor with Loo Bang Hean and the JPO. Her career has taken her to England, Australia, New Zealand, Brunei and all over Malaysia. 2014, she conducted the Premier Performance of ' ANGEL' by English composer Rebecca Burns during JPO Christmas Outreach Concert. In 2015, Grace performed as a cembalist in the String Festival Concert KK and as a pianist with D' Arte Ensemble in July. In 2016 and 2017, Grace performed as a harpsichordist for Bach Cantata and as a Timpanist for Sacred Music Concert. Grace also a member of KK based Grajenda Trio, and also "Three-In-1" Trio who perform regularly in Penang. Early of the month, she has just done the Bach Cantata performances in Bintulu and Sibu performing as an harpsichordist. (from National Symphony Orchestra, Istana Budaya) and members of JPO. 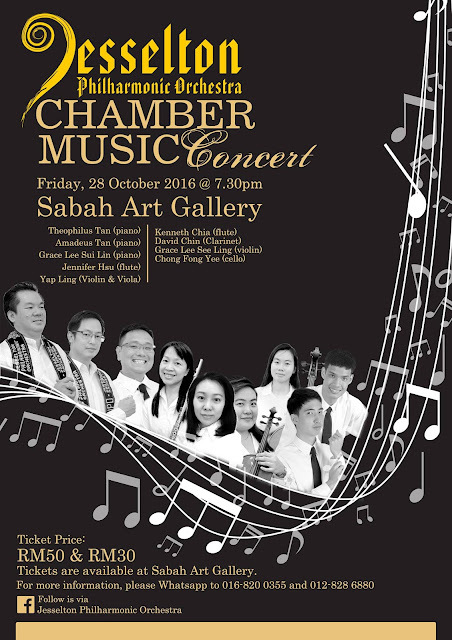 For all classical music lovers out there, the Jesselton Philharmonic Orchestra (JPO) promises you an enchanting and mesmerizing night of Chamber Music performed at the prestigious Sabah Art Gallery in Kota Kinabalu on Friday 28 October at 7:30pm. Chamber Music is a form of classical music that is composed for a small group of instruments i.e. duet, trio and quartet ensembles being the most common. Playing Chamber Music requires special skills due to it intimate nature, often being compared to close friends conversing with each other in a social manner. JPO’s Chamber Music Concert hopes to showcase the talents and skills of their more senior players, by allowing them to perform in this smaller and more intimate group setting. All JPO performers for this concert are presently working as music teachers in local universities, secondary schools and private music schools. JPO’s own renowned conductors, Yap Ling and Kenneth Chia are amongst the performers for the night. The repertoire of songs for this concert performance covers the Classical and Romantic periods with the diversity being in the combination of ensemble groups – including duets, trios and quartets of piano, wind and string instruments. Through this enthralling concert, JPO hopes to educate and expose the people of Sabah to a different form of classical music and to increase their awareness and appreciation for Chamber Music. or WhatsApp to 016-820-0355 or 012-828-6880. Tickets are also available at the Sabah Art Gallery. For more convenience in purchasing the concert tickets, you can bank in to CIMB Bank account no. 8005645789 under Jesselton Philharmonic Orchestra. Then send the bank in slip (as jpg) via whatsapp to 016-820 0355 with your name. You can then collect the tickets at the door before the concert under our name. 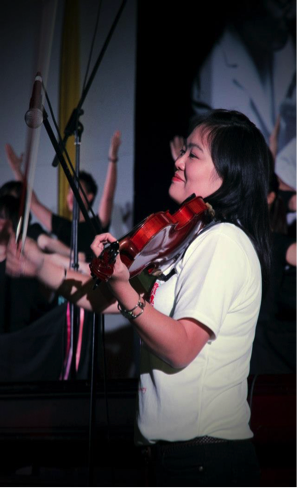 Yap Ling is a versatile musician who performs, teaches, conducts and arranges music. Upgrading and performances has taken him to many countries including USA, Australia, New Zealand, Dubai, Russia, Asian and European countries. In 1990, he participated in the 1st World Youth Music Camp in KL and the 1st Pacific Music Festival in Japan (under the baton of Maestro Leonard Bernstein). He represented Malaysia as a violin tutor in the 1991 ASEAN Youth Music Workshop in Jakarta, Indonesia. He was a string tutor at Universiti Malaysia Sarawak (UNIMAS) and Universiti Malaysia Sabah (UMS) where he conducted their orchestras. He was the Artistic Director and Principal Conductor for the 1st and the 2nd Sarawak Music Camp in Kuching and Sibu respectively for 1999 and 2001, the 1st Sabah State Music Camp at University Malaysia Sabah (UMS) in 2009 and the Kota Kinabalu String Music Festival for the past 4 years. He also co-founded the Annual Bintulu Music Camp last year where he is the artistic director and conductor. Yap Ling is the conductor of Jesselton Philharmonic Orchestra (JPO), which is featured at the annual Music Fest at the Tip of Borneo. He is also the conductor for Kian Kok Youth Orchestra (KKYO), the Tshung Tsin String Orchestra and The Kota Marudu Skycommunity String Orchestra. As a Guest Conductor, he conducts the Miri Orchestra and Choir (MOC), The Musica Sinfonietta, Penang and The orchestra of the Music For Our Young Foundation, Hong Kong. He has conducted the Gala Friendship Concert (Malaysia & Korea) in Kota Kinabalu last year, collaboration between the Korean Opera Company Association and the JPO. As a chamber musician, his Duos partnership with Singaporean violinist Foo Say Ming has him performing on the viola too. Yap Ling is also the violinist for the Three-in-1, MP3rio (Piano Trio), the Jesselton Trio (Oboe-Violin-Piano), Re:mix (Singaporean String Ensemble), the Malaysian Ars Nova Ensemble (String Quintet with Piano), the L’espressivo Trio (Vocal-Violin-Piano) and the Fuegokoori Trio (Violin-Cello-Guitar) which has performed regularly in various parts of Malaysia and abroad. In 1997 he was conferred an Associate of the Royal Academy of Music (ARAM) in recognition for his contribution towards developing the music standard and promoting music in this part of the world. Yap Ling is also very active in sacred music performances for the past 30 years where he has lead the festival orchestras for works like Elijah, Messiah, The Creation, Masses, Cantatas, etc. and has collaborated with Rev. Lee Chong Ming, David Chin and Elaine Pao. He has conducted Violin Masterclasses and Violin Teacher Seminars for ABRSM in Malaysia and regularly gives violin masterclasses and orchestra workshops throughout the country. The most recent includes a talk and masterclasses conducted in Nanyang Academy of Fine Arts, University of Singapore in August. Presently he is the assistant conductor and violin tutor for the Permata Seni Muzik (PSM), a national program for musically gifted children below the age of 14. Kenneth Chia is currently a lecturer at Universiti Malaysia Sabah, at Fakulti Kemanusiaan, Warisan dan Seni, showing students his unique way of teaching the arts and joys of music. He was born in New York City in 1975, the son of Sabahan parents, and moved to Kota Kinabalu in 2013 to explore Asia and spread the art of the flute in Malaysia. He first started playing flute at age 7 under Joseph Romano at the Brooklyn Conservatory of Music. He then studied under Lauren-Ann Maurer in private studies up until he finished high school It was under her he was introduced to Julius Baker, and began studies with Baker at Carnegie Mellon University up until his retirement. Kenneth then finished his undergraduate studies at Carnegie Mellon University with a Bachelor of Fine Arts in Flute Performance in 1997, finishing his degree under Thomas Robertello. He later continued studies under Robertello at Indiana University Bloomington, and earned his Master’s Degree in Music in Flute Performance in 2000. Throughout his career, Kenneth Chia taught private flute lessons in the New York City area, throughout the years evolving a strong flute curriculum that developed students who gained great technical proficiency, sight-reading ability and musicality. He also established a small career in conducting youth Orchestras, and was Assistant Conductor of the Children’s Orchestra Society of NY between 2000 and 2007, and also was an occasional guest conductor of the Youth Orchestra of the Chinese Youth Corp of New York, including a full concert performance at Alice Tully Hall in Lincoln Center in 2011. Today, Kenneth Chia is a proud member of the Jesselton Philharmonic Orchestra, as a flutist and guest conductor, and is thankful to JPO for welcoming him to the Sabahan classical music community! Born in 1984, Lee See Ling (Grace) started learning piano at the age of 5. She picked up violin as a second instrument a year after. After graduating from secondary, she furthered her study straight to UK and pick up violin as her main instrument. She was awarded the Robert Marchant String Scholarship as a first year student and thereafter won the award every year. Grace was very active in all grounds of musical performances during her years abroad. Grace was appointed as concertmaster for the University Chamber Orchestra and Gilbert and Sullivan Orchestra since her first year. She was also invited to lead the University string quartet by the professor joined by three very talented senior students. Grace was appointed as concertmaster for the University of Hull Symphony Orchestra in her second year and never failed on earning the title by auditioning it again each year. Through her hard work, she was praised locally in the newspaper of Hull & East Yorkshire. Grace graduated with a BMus(HONS) and MMus from the University of Hull, UK in 4 years of learning, having studied violin performance with Barbara Parham, Richard Quick and ensemble performance with Dr. Lee Tsang and Dr. Elaine King. Grace kept a busy schedule while study abroad involving various orchestra and piano accompaniment. During her last year abroad, she puts together a charity concert combining Chinese music with Western Instrument in aid of Hull City Council. Having returned home from UK, she was invited to perform in KLPac for the Ismail Musical Performance. Concert master for the Australian Week with the KLPac Orchestra and also perform as a soloist and together with Mr Phang Kong Chien and Lee Shiak Yao (Malaysia well-known Tenor and Conductor) at Klang Music Festival. Besides, Grace accepted a year contract with University of Technology Mara Shah Alam lecturing in string method and also as their pianist for the vocal students. After a year in Malaysia, Grace accepted another offer to further her career in Singapore since year 2010. Serving as a Senior Teacher in Edvox Music School. She served as a music producer for Talento XI, putting together two orchestras and a junior string ensemble. Together they held a theme concert of World Music, in the year of 2011 in Singapore. Grace never stopped her performing journey while teaching. She was often playing in gigs as a part of string quartet or doing accompaniment for others. When she returned from Singapore, she served as the Tour Manager for Time Ensemble(an international project vocal ensemble consists of young elites from all corners of the world) during their project in Malaysia and Singapore in July 2012. She was also the Klang Chamber Choir's violinist touring and performing with them from West Malaysia to the East Malaysia. Grace moved to Kota Kinabalu, and brought in the Time Ensemble to Kota Kinabalu as one of their South East Asia stops in 2014 and raising the music scenery in Sabah to another level. She now joins the Music Programme of Fakulti Kemanusiaan Seni dan Warisan-Universiti Malaysia Sabah, serving as a full-time lecturer. And also a violinist for the Selangor Symphony Orchestra. Grace obtained her Bachelor of Music degree from Auckland University, where she studied piano under Professor Tamas Vesmas. She had conducting lesson with Uwe Groud and Karen Grill. Grace is also an avid accompanist. Some of the musicians she has accompanied includes the famous ‘Malaysian 3 Tenors’- David Ngim, Lim Cheong Hock and belated Armando Chin Yong, the Sabah based Soprano Phoon Sook Peng who sung for “The Yellow River Cantata” in KK, the Dama Vocal Festival held at KL Performing Art Centre and the Debut Season With Stars From Dama’s Production - “Intimate Encounters” in KL. In addition, she also accompanied many choirs. Grace is also active in sacred music performances and has played the organ and timpani parts for works like Elijah, Messiah, The Creation, Masses, Cantatas, etc. and has collaborated with Rev. Lee Chong Ming, David Chin and Elaine Pao. Last but not least, Grace is the conductor of Song En Methodist Church Children Choir. Jennifer Hsu Hui Ling has won the best Performing Art Award for her graduation in Junior High School. This Award has given her the fundamental courage to pursue her dream in music. She studied at The Taiwan National Art and Music School, majoring in both piano and flute. In year 1995, she was accepted by the Adelaide Conservatorium of Adelaide University to study bachelor degree of performing Arts. In that year, she had her first oversea solo recital in both piano and flute at Adelaide Elder Hall. She was assigned to learn from the famous Australian musician Zedenke Bruderhunz and Louise Delliet. In year 1997, she was awarded the scholarship from Adelaide University to participate in the Australian Chamber Music Camp. At the same year, She had performed the Mozart Flute Concerto with the Adelaide Wind Ensemble, and she also played as first flautist for the Adelaide Symphony Orchestra. Upon her graduation, she was awarded the Outstanding Musical Performer Prize. After graduation in year 1999, Jennifer Hsu returned to her home town Zhongli at Taiwan. She was offered a lecturer post with Sheng De Christian College. She was appointed as Music Director in the Taiwan Zhong Li Truth Church and performed many times on Taiwan Christian Channel Good TV. In year 2003, she released an Album of solo flute music entitled “ Heart and Soul” in Taiwan. 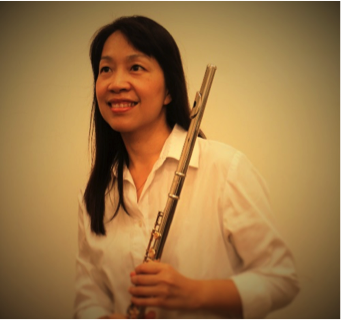 Upon moving to Kota Kinabalu in year 2003, She was appointed as Flute lecturer in Music and performing arts faculty at University Malaysia Sabah (UMS) and the Sabah Institute of Arts (SIA). In year 2007, She played both flute and piano in a Concert called “Friends in Concert” with 3 other famous musicians. in year 2013,with the other two famous Musician set up a chamber music group called GRAJEDA TRIO and had their first chamber music concert at Yayasan Sabah Tun Humdan Theatre. In year 2014, Performances include soloist with Prof. Mathias Boegner for the Bach Brandenburg concert and the JPO Christmas out-reach concert in December. In year 2015, perform in the chamber group GRAJENDA TRIO in August. Despite her busy teaching and frequent performance, Jennifer Hsu also very actively involved with church's musical performance and worship ministry. At the moment, she is working on the recording of her self composed Christian songs album which expected will be release by next year. Truly She wish to use her musical gift to glorify the God!